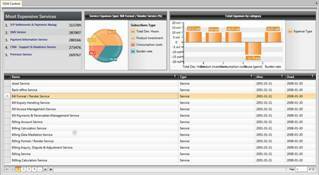 This is the initial release of the Oracle API Manager 12c. Please see the Documentation tab for Release Notes, Installation Guides and other release specific information. 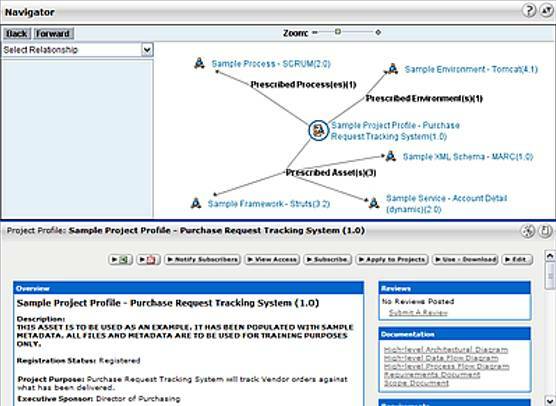 You can also view the Oracle SOA Release Notes Page provided for this release. Checkout our new series and learn about what is SOA Governance! What is Oracle Enterprise Repository (OER) – This video explains Oracle Enterprise Repository (OER), and how it can help with SOA Governance. 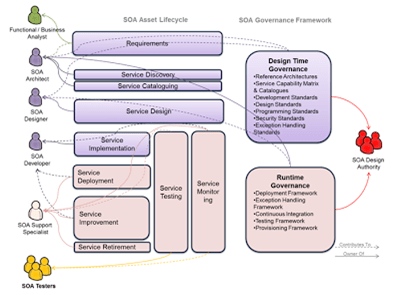 After more than decade implementing SOA, I’ve come to the conclusion that one of the reasons that prevent organisations from realising the benefits of SOA is the lack of some sort of governance in their SOA implementations. I have also come to the sad conclusion that even though this is well known fact, many (end customers and SIs alike) still lack understanding of what SOA Governance is and why is it needed. Having said that, I created this post not only for my own reference, but also share this knowledge for those wishing to improve their understanding on this amazing topic. Hopefully this FAQ provides some concise answers to many of these questions. Why is SOA Governance needed? What are the objectives of SOA Governance? What are the key components of SOA Governance? What are the top challenges that prevent successful SOA Governance implementation? What is the most common mistake organizations make in enforcing SOA Governance? 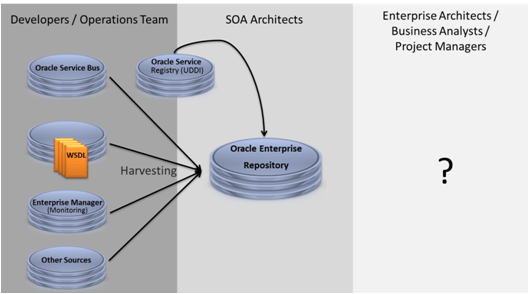 What Oracle tools do I need to successfully implement SOA Governance? To what degree does successful SOA governance require organizational change? What impact, if any, trends such as Cloud, API development, Mobile Computing, Big Data, and the Internet of Things( IoT) have on SOA Governance? Is there any practical book on how to implement SOA Governance? R. In simplistic terms, SOA Governance is the alignment of processes, people and tools needed to ensure that a SOA implementation is successful. SOA Governance primary objective is to maximise the benefits that SOA can bring to the business and IT. One thing to bear in mind is that SOA Governance does not exist on its own; it is in fact an extension of IT governance and EA governance. Read the complete article here. This is an OTN ArchBeat blog post featuring two video interviews with SOA Governance experts. OTN tech article: "SOA Governance Through Enterprise Architecture" by Manuel Rosa and André de Oliveira Sampaio. One of the greatest challenges to implementing SOA has in fact nothing to do with the intrinsic complexity behind a SOA technology platform. It is widely recognized that the real difficulty lies in dealing with people and processes from different parts of business and aligning them to deliver enterprise wide solutions. This is not only true in the case of SOA architectures but rather a challenge faced in systems design in general. As it has been nicely put by Conway’s law: “organizations which design systems … are constrained to produce designs which are copies of the communication structures of these organizations”. Register now to view case studies, white papers, and other valuable resources for SOA Governance. Effective Service-Oriented Architecture (SOA) Governance is an essential element in any enterprise transformation strategy. Oracle’s SOA Governance solution eases the transition of an organization to SOA by providing a means to reduce risk, maintain business alignment, and show the business value of SOA investments. Whether just embarking on an SOA initiative, or expanding a project or pilot for a broader deployment, this SOA Governance resource kit will guide you along the path to a measurable SOA success. The costs of technology assets can become significant and the need to centralize, monitor and control the contribution of each technology asset becomes a paramount responsibility for many organizations. Through the implementation of various mechanisms, it is possible to obtain a holistic vision and develop synergies between different assets, empowering their re-utilization and analyzing the impact on the organization caused by IT changes. When the SOA domain is considered, the issue of governance should therefore always come into play. Although SOA governance is mandatory to achieve any measure of SOA success, its value still passes incognito in most organizations, mostly due to the lack of visibility and the detached view of the SOA initiatives. There are a number of problems that jeopardize the visibility of these initiatives: Understanding and measuring the value of SOA governance and its contribution – SOA governance tools are too technical and isolated from other systems. They are inadequate for anyone outside of the domain (Business Analyst, Project Managers, or even some Enterprise Architects), and are especially harsh at the CxO level. Lack of information exchange with the business, other operational areas and project management – It is not only a matter of lack of dialog but also the question of using a common vocabulary (textual or graphic) that is adequate for all the stakeholders. We need to generate information that can be useful for a wider scope of stakeholders like Business and enterprise architectures. In this article we describe how an organization can leverage from the existing best practices, and with the help of adequate exploration and communication tools, achieve and maintain the level of quality and visibility that is required for SOA and SOA governance initiatives.